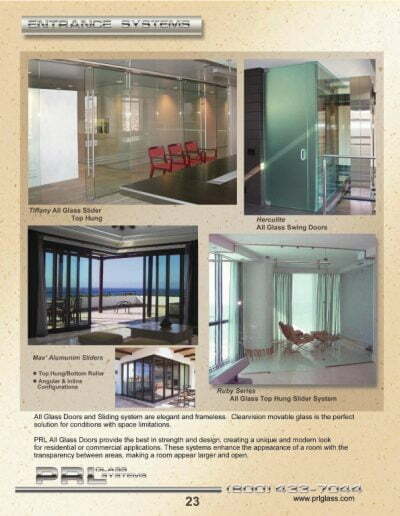 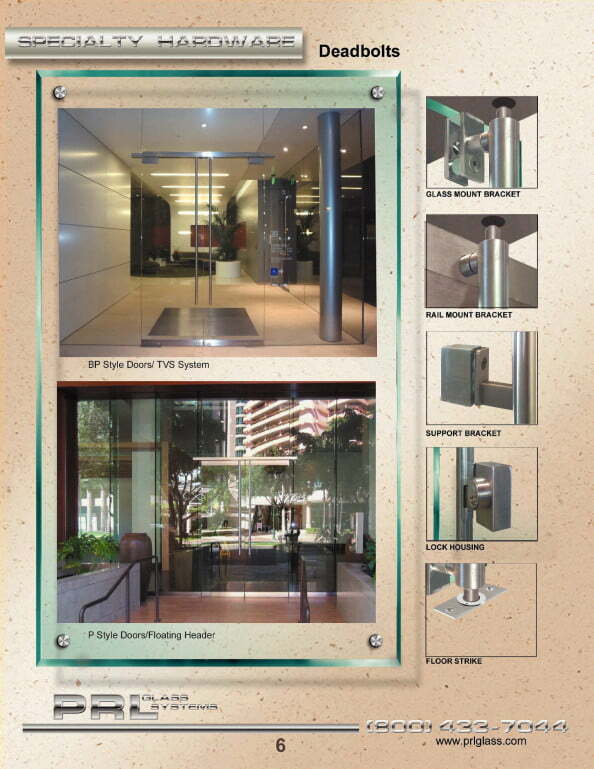 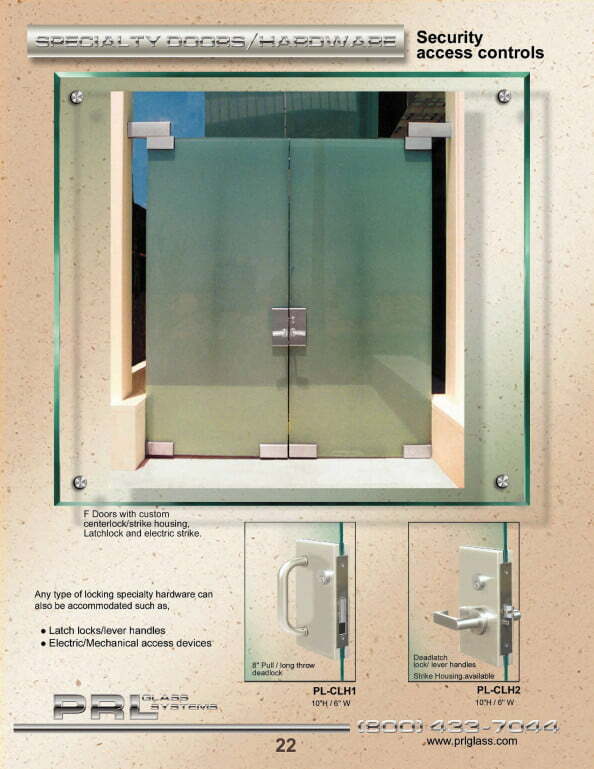 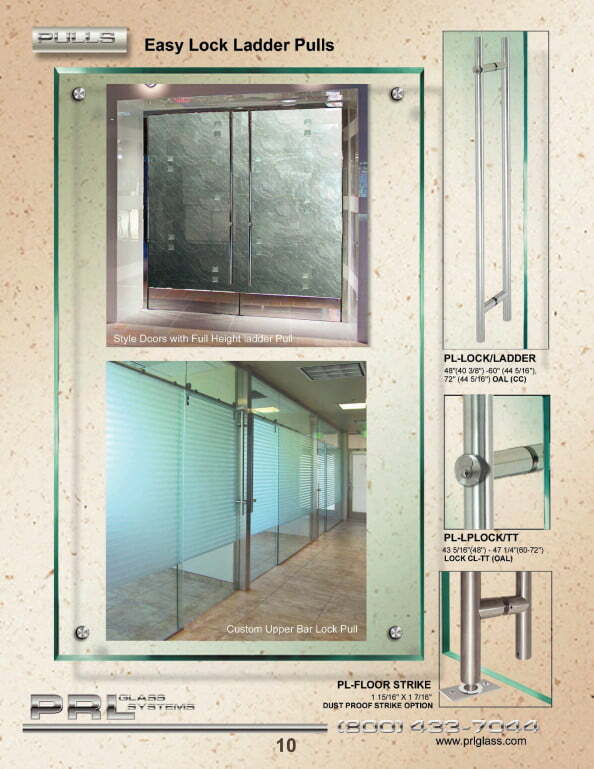 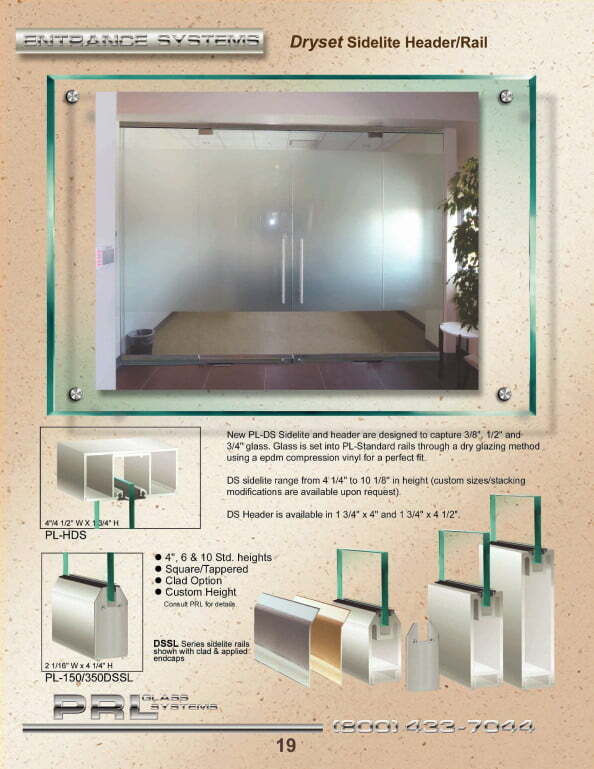 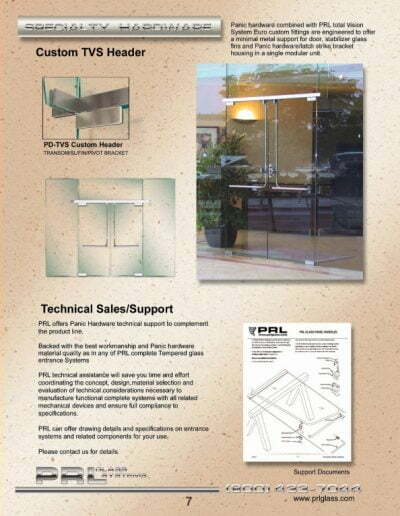 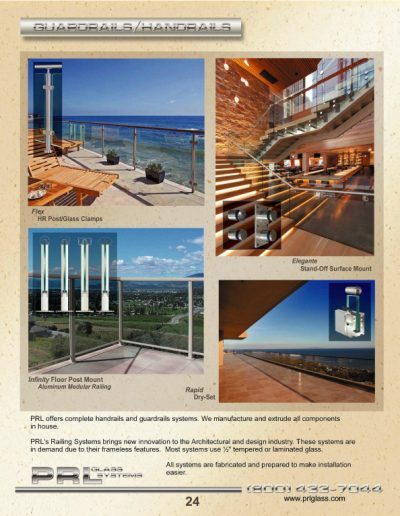 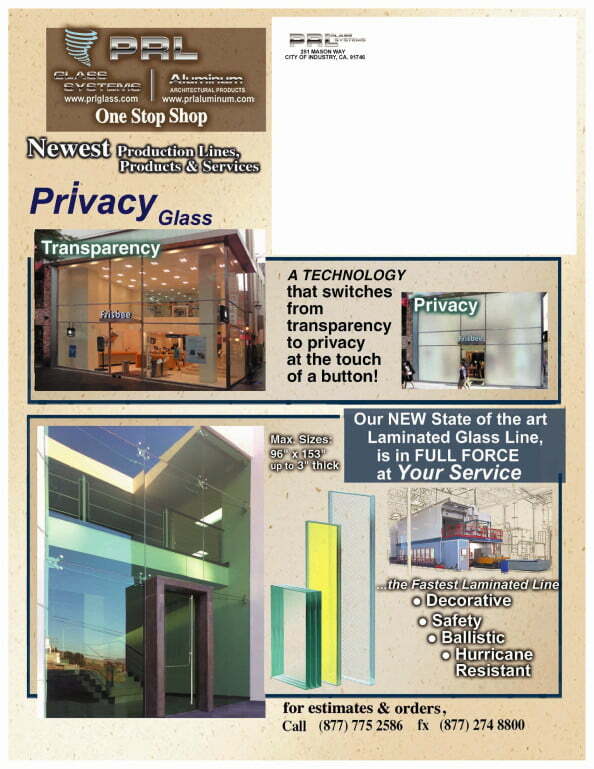 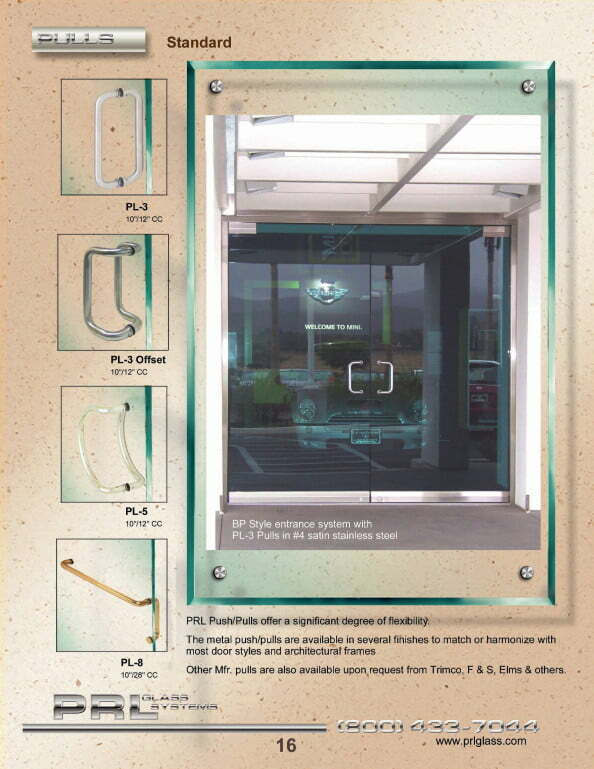 PRL’s innovation and creativity has once again led us to revolutionize another product the (All Glass Entrance Panic Device). 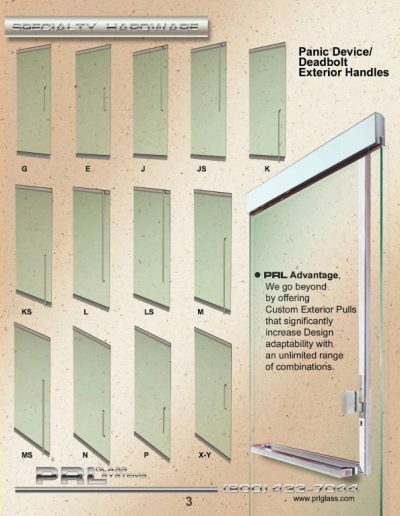 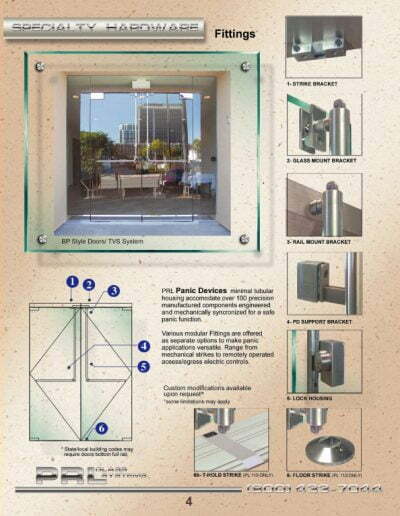 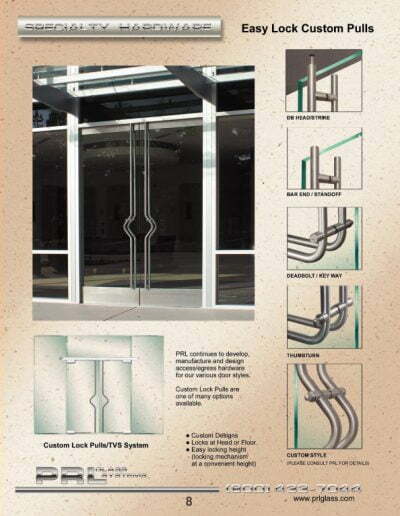 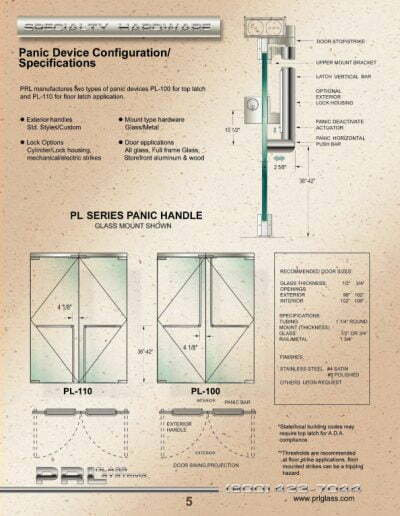 PRL’s PL100 Panic Exit Device provides a latching mechanism in a tubular housing, providing the best option to secure tempered all glass entrance doors. Our PL100 panic device latches at the top of the all glass entrance door, interfacing with a doorstop/strike or electric strike. 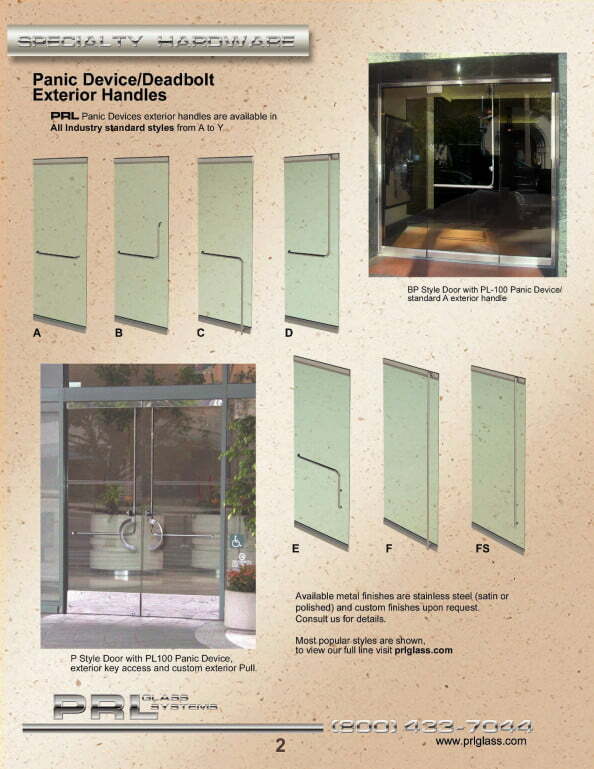 A variety of exterior pull handles are available to enhance the door appearance. 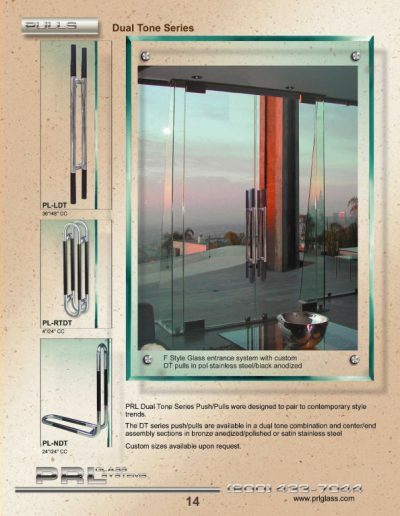 Our PL-100 top latching panic device can be applied to all glass doors ranging from 1/2″ to 3/4″ thick glass and up to 120″ tall. Our panic device can also be modified to work with metal, aluminum or wood doors. 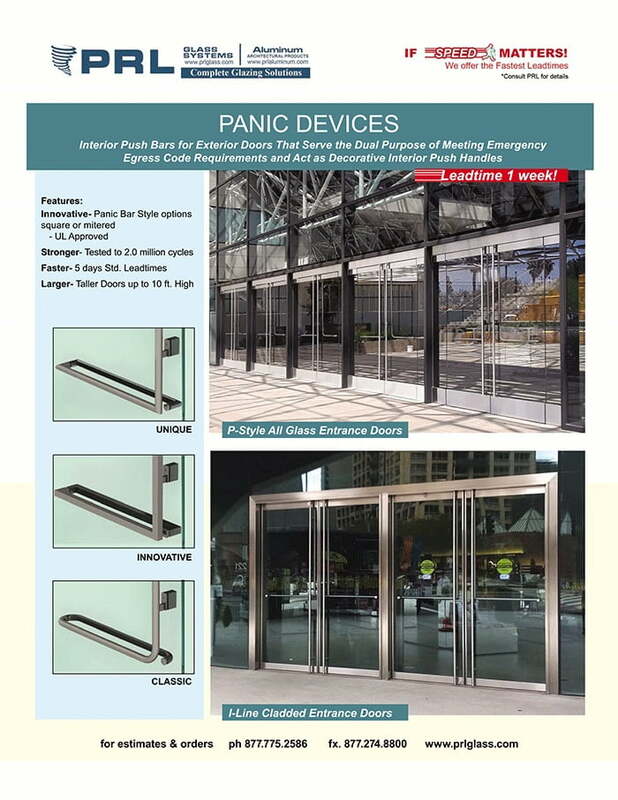 Standard finishes for the panic device are brushed stainless steel (US32D) or polished stainless steel (US32). 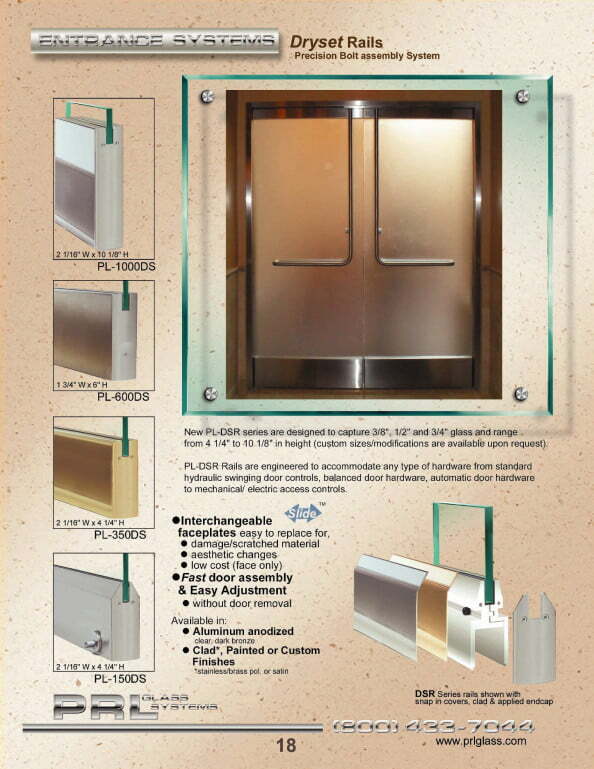 It can also be powder coated or Kynar painted to any color finish. Once again PRL has gained an edge over the competition with our all glass entrance PL-100 top latch panic device due to its strength and performance. 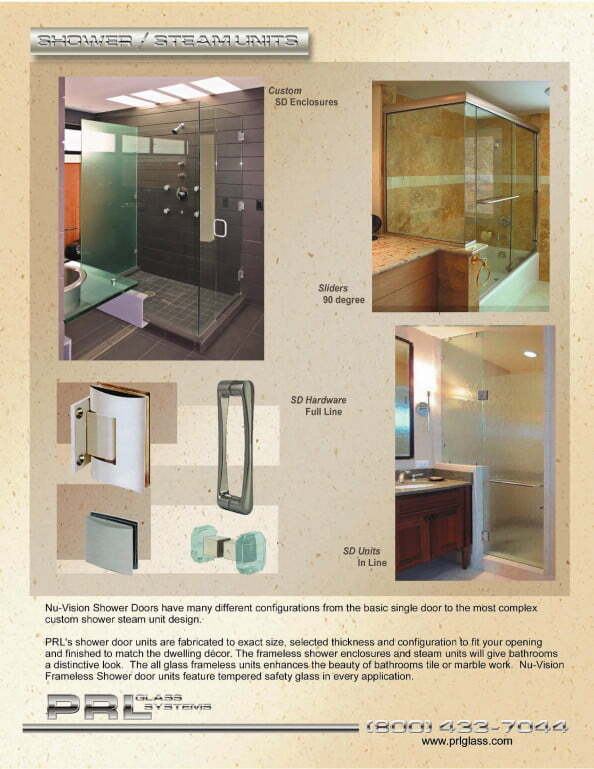 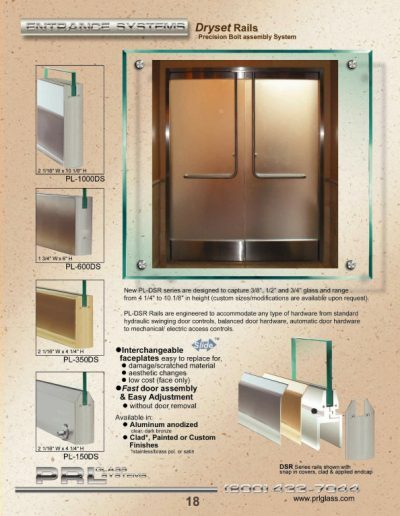 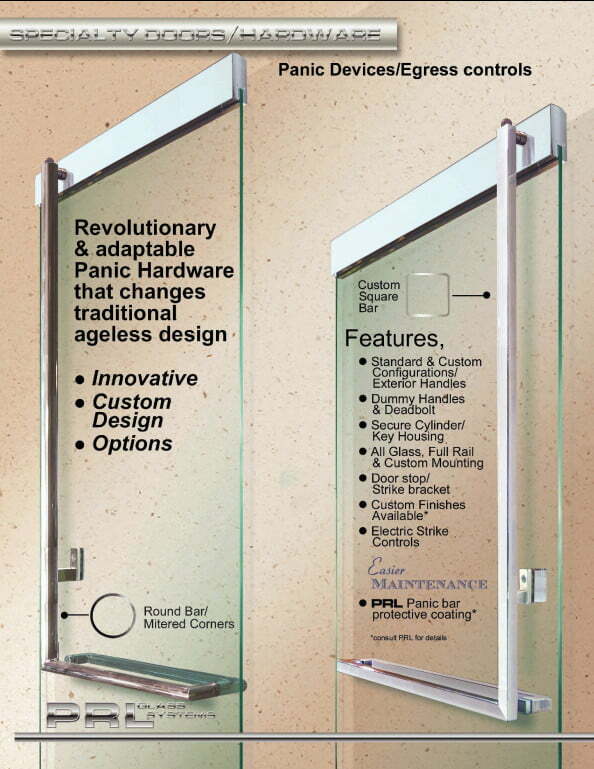 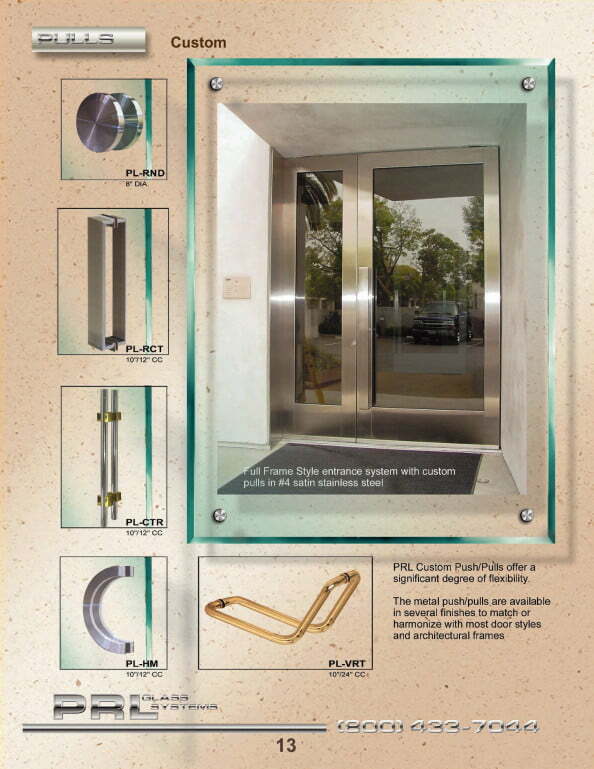 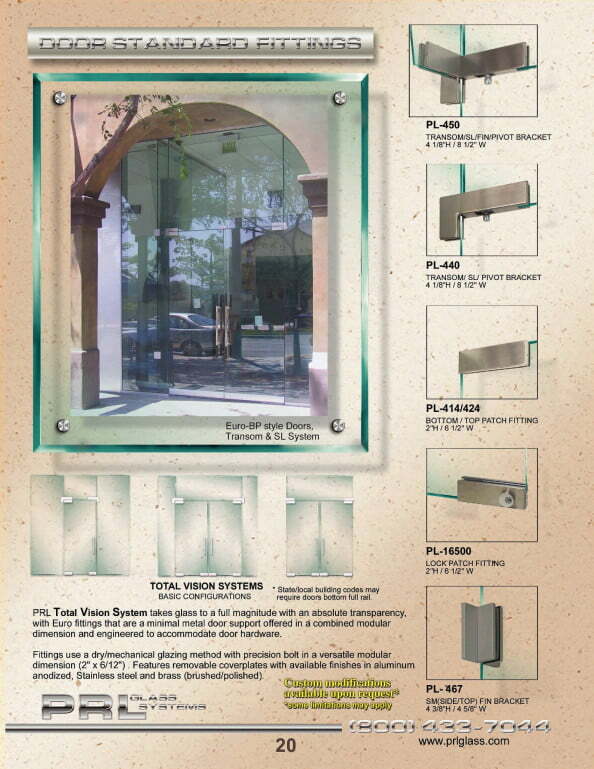 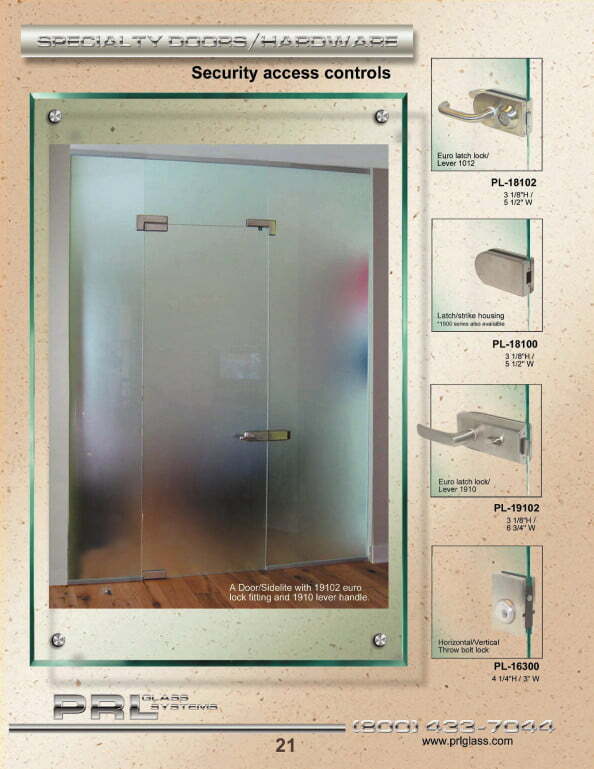 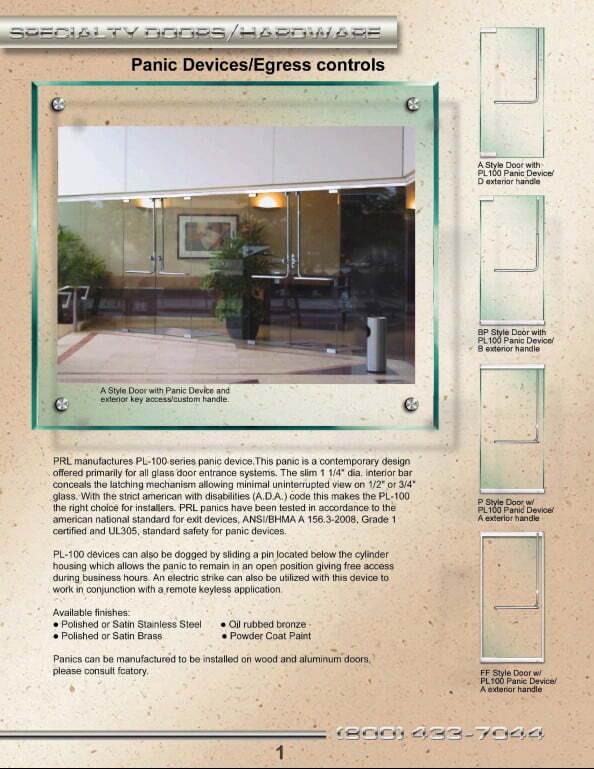 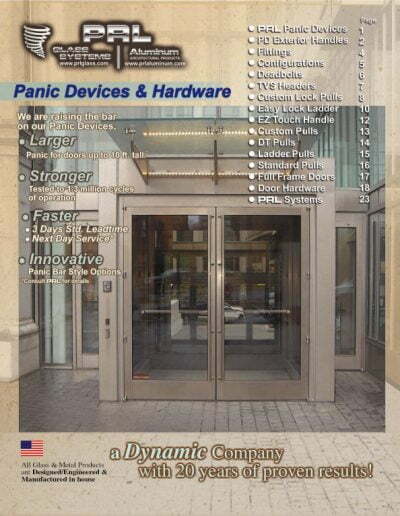 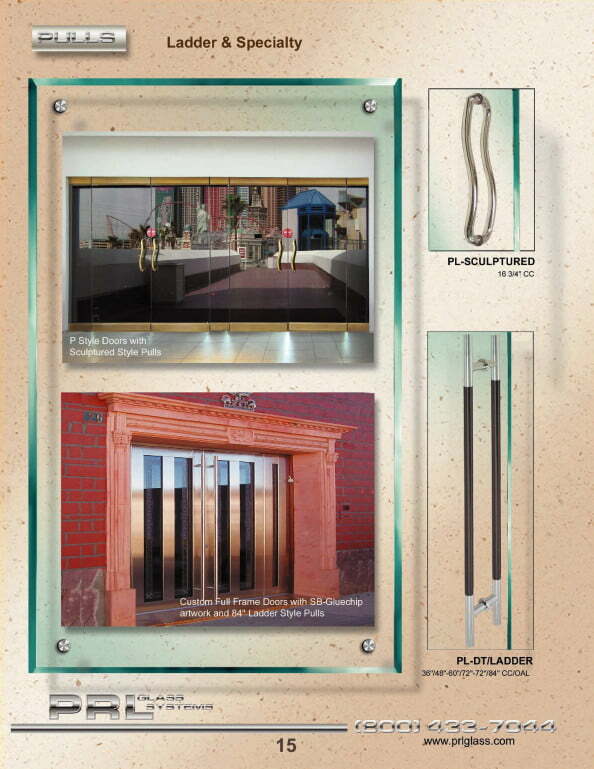 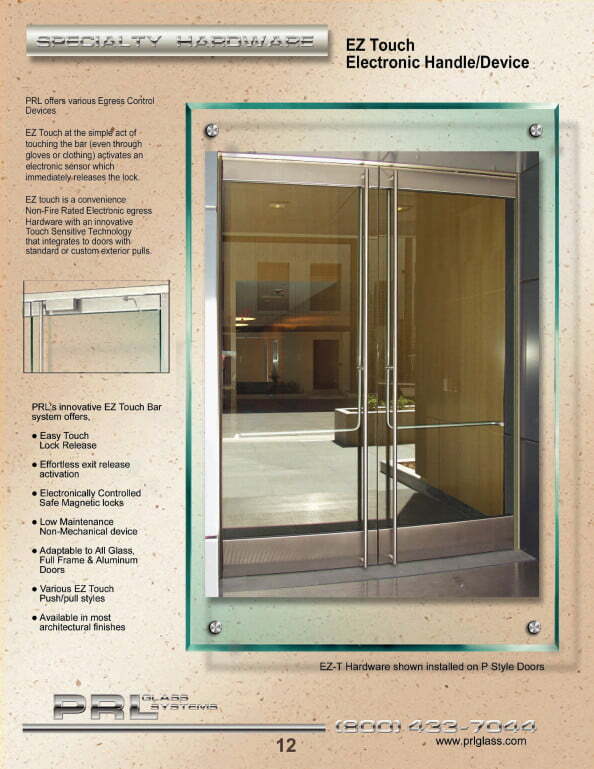 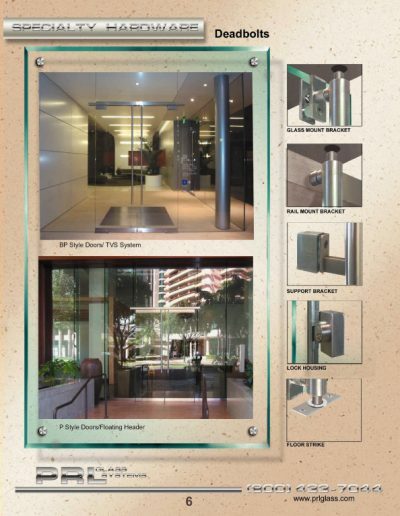 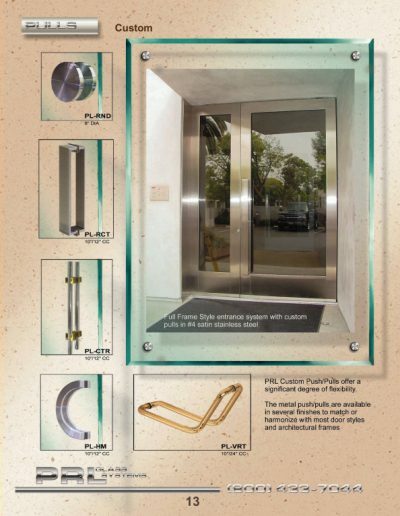 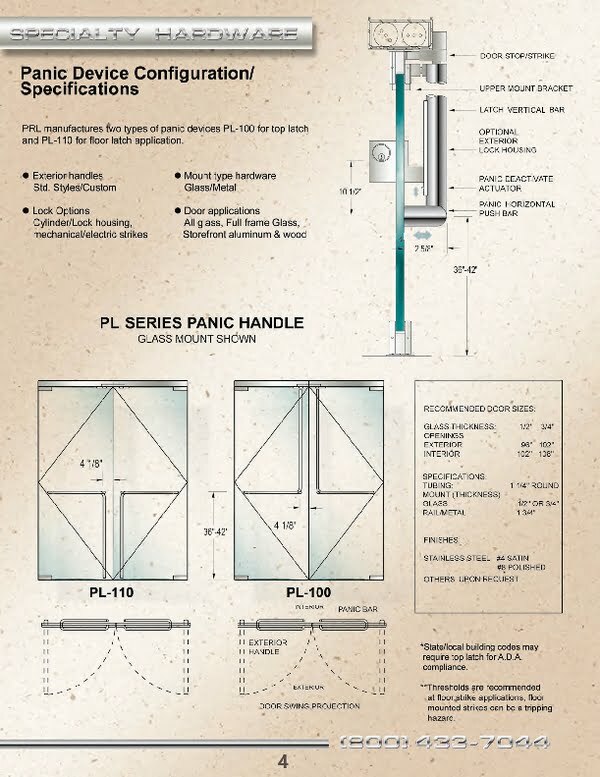 The PL-100 panic device has the following features to make all glass entrance doors unique. 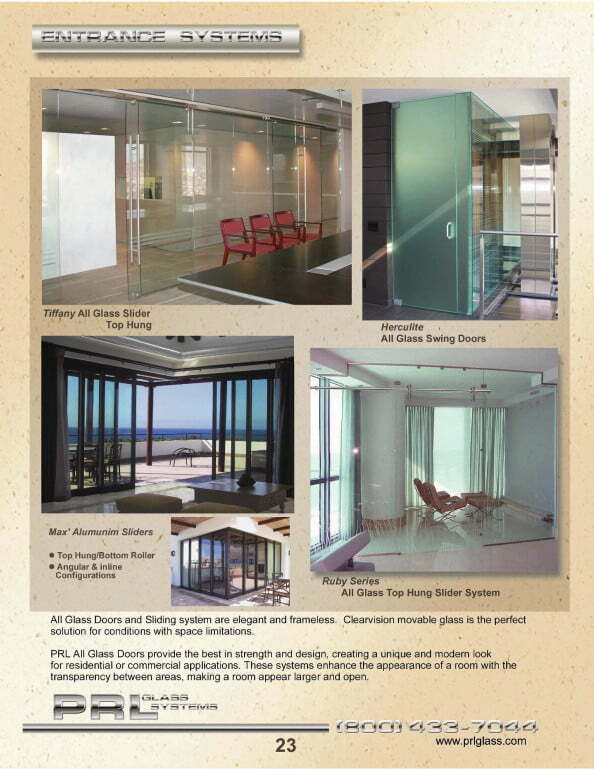 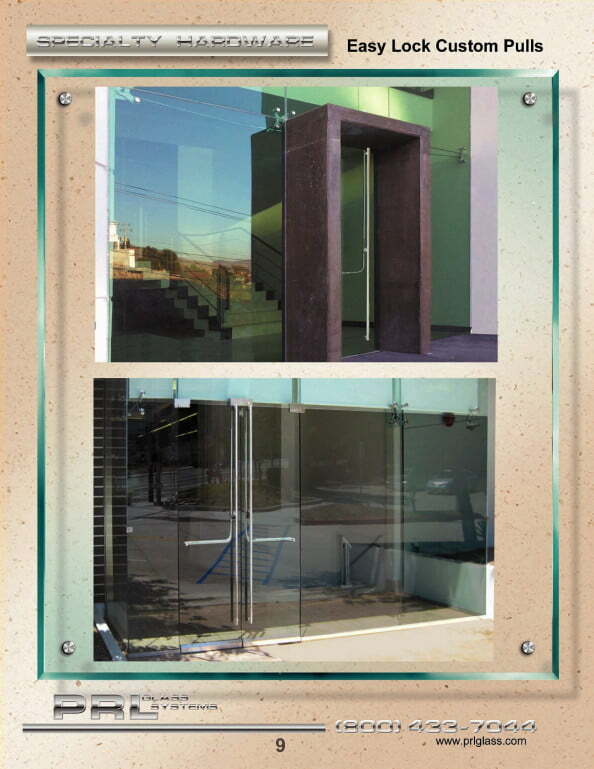 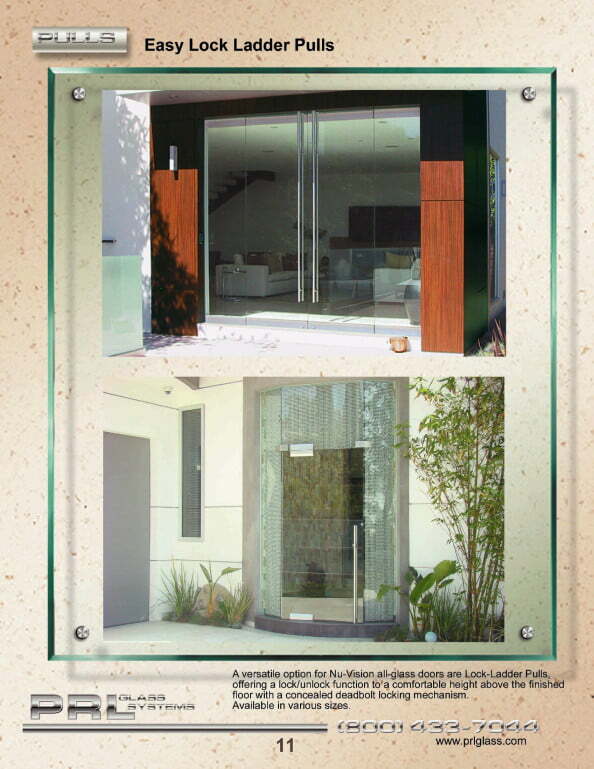 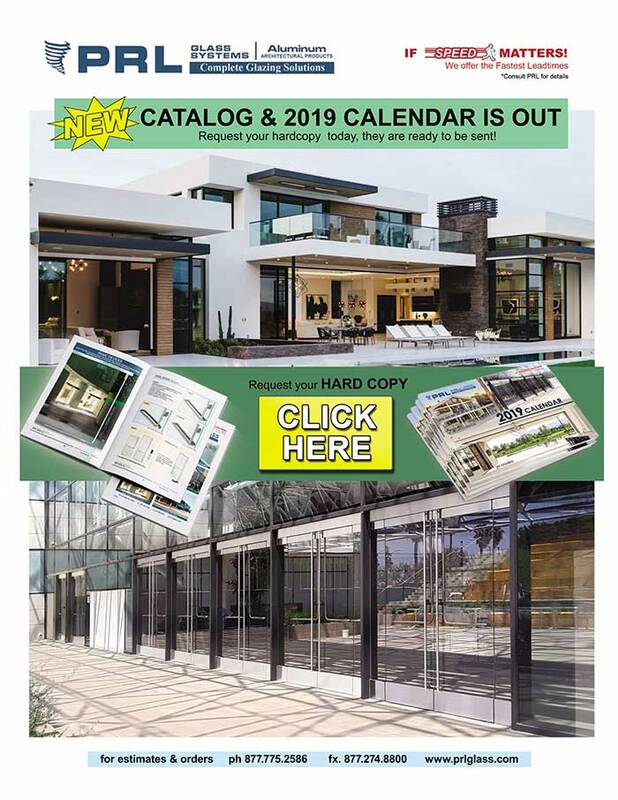 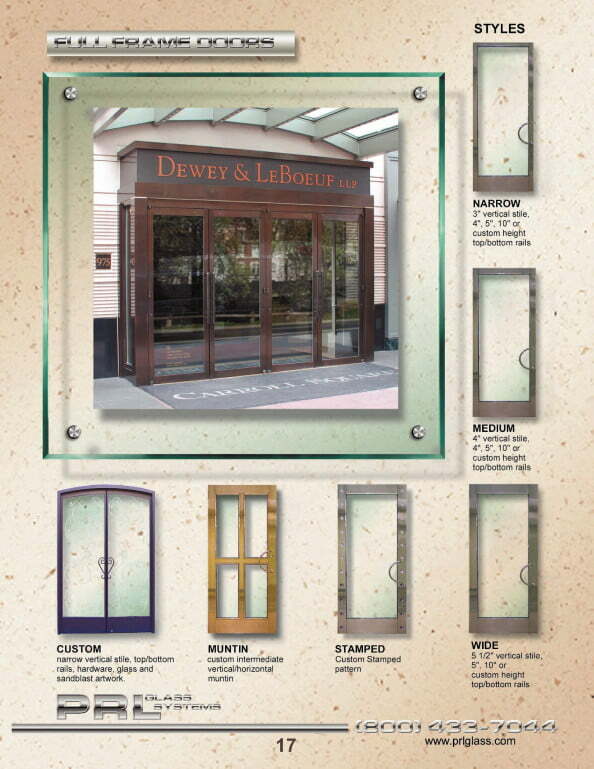 With our in-house fabrication we offer Complete All Glass Entrance Systems including All Glass Entrance Doors and Hardware to our customers with the fastest, unmatched lead times in the glazing industry.